Want to know the story behind the world’s first augmented reality combat game? 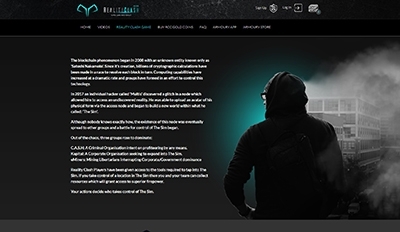 Here is what Reality Clash is made of and what to expect in the future! 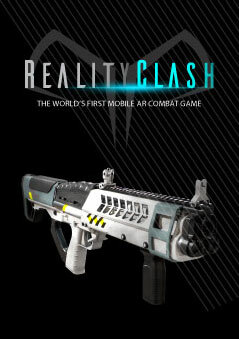 Reality Clash is an exciting and innovative augmented reality FPS mobile combat game available on IOS and Android, which is also free to play! Enter the Portal to play in the virtual battlefield where your movement, reactions and strategy are crucial to your success. • Take part in missions or events to get bonus items and rank up! When engaging in combat or weapon training, players enter an augmented reality Portal. The Portal allows players to fight in an immersive virtual world known as ‘The Sim’ with persistent objects such as barricades which can be used for defence. This kind of AR gameplay has never been seen before and is a truly innovative experience. Key locations where major missions take place and teams compete for control so they can mine at the location and receive resources. These locations are patrolled by bots ensuring you can always play against an enemy. Players can mine for Resources at Nodes which have been taken over by their team. These Resources can then be used to build powerful weapons. In-game currency purchased from mobile app stores or earned through gameplay. Can be spent on non-tradable weapons, additional add-ons and boosting certain actions. Locations where combat is restricted and players regain health automatically. These are physical locations, such as coffee shops or retail locations, which will be able to offer real-world incentives and in-game rewards to players. In-game items that, when combined together with resources and Silver, will allow the player to unlock and build new weapons. Objective based activities which players can undertake to increase their level, earn in-game items or compete with rival players. Players can use the detailed 3D map to search for SafeZones, Nodes, friends and enemies. The blockchain phenomenon began in 2008 with an unknown entity known only as 'Satoshi Nakamoto'. Since its creation, billions of cryptographic calculations have been made in a race to resolve each block in turn. Computing capabilities have increased at a dramatic rate and groups have formed in an effort to control this technology. In 2017 an individual hacker called 'Multis' discovered a glitch in a node which allowed him to access an undiscovered reality. He was able to upload an avatar of his physical form via the access node and began to build a new world within what he called: 'The Sim'. Although nobody knows exactly how, the existence of this node was eventually spread to other groups and a battle for control of The Sim began. C.A.S.H: A Criminal Organisation intent on profiteering by any means. Kapital: A Corporate Organisation seeking to expand into The Sim. Reality Clash Players have been given access to the tools required to tap into The Sim. If you take control of a location in The Sim then you and your team can collect resources which will grant access to superior firepower. Your actions decide who takes control of The Sim. New game features to be released soon.